In “The White Road,” Edmund de Waal, author of “The Hare with Amber Eyes,” chronicles humanity’s passion for porcelain, the fine pottery coveted through the ages by the wealthy and highborn, and his own life as a craftsman who works with the prized material. It is rare for someone to write as well as Edmund de Waal, all the more since it’s his secondary vocation. De Waal’s first book, “The Hare with Amber Eyes” — which he humbly calls “my book about netsuke” — traces the path of a collection of those small, carved-wood Japanese figurines as it passes down through generations of his family. It is one of the best books I’ve read in the last 10 years, with a sweep of historical implication couched in a personal story of artistic mystery. But de Waal is a potter by trade, who has spent “forty-plus years of sitting, slightly hunched with a moving wheel and moving a piece of clay trying to still a small part of the world, make an inside space.” And his latest book, “The White Road,” is a chronicle of his obsession with porcelain. He follows that road from the ancient Chinese town of Jingdezhen, the earliest known source of the bewitching wares, where whole hillsides are blanketed with shards of pots gone awry, to the colonial Carolinas, where deep in Cherokee territory the New World finally finds its own match to the mythical clay of the East. Between, there are stops at Versailles and Meissen, home to Europe’s first quality porcelain. He also recounts his own development as an artist, his almost romantic relationship with the material. “The White Road” is the story of how objects, through the accumulation of intent, labor and the patina of history, accrue a sense of self. There are ideas — and not just the ideas present at conception — that gestate in a work of craft, giving it a narrative. 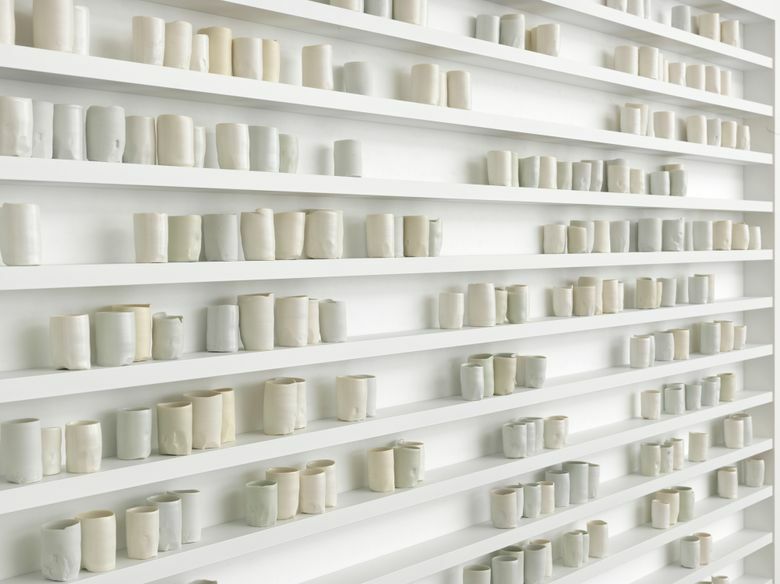 For de Waal, beauty, desire, will, grief, ambition and tragedy all manifest in the porcelain. Culture is not things, per se; but things embody culture. It’s de Waal’s understanding of this that opens the book — ostensibly a chronicle of one man’s narrow obsession with a potting material — into a story of so much more. “The White Road” is also about people and labor, about the time before automation, when mass production and craft still intersected. “The White Road” is a story of makers. There is the boy-genius alchemist Böttger, who is conscripted by the Saxon ruler Augustus II to perfect porcelain on the Continent. He is “brought, under guard, the fifteen miles from Dresden to a ‘secret laboratory’ at Albrechtsburg Castle in Meissen, 300 feet above the Elbe.” It takes eight years. We find Josiah Wedgwood, who in 1759 founded a pottery concern still in operation, as he scours England’s West Country for suitable clay. “He casts an appraising eye over the landscape as speculator, property developer, geologist, mineralogist, potter, sorting information for use,” de Waal writes. But for de Waal, it continually comes back to the material, the meditative paleness, translucence. Porcelain clay, he writes, “feels white. By which I mean it is full of anticipation, of possibility. It is a material that records every movement of thinking, every change of thought.” With such repeated meditations on whiteness, the reader’s mind will naturally begin to wander into that term’s other connotations. To wait for the other plate to drop. And when it does, late in the book, it shatters along the same lines of European history that de Waal has written about before. The story of porcelain is white, but it is not unstained.